Donut Crawl? Tour de Donut? What’s that you ask – why it’s a fantastic, delicious and creative way to celebrate National Donut Day! And I was lucky enough to participate and join in on the delicious craziness. 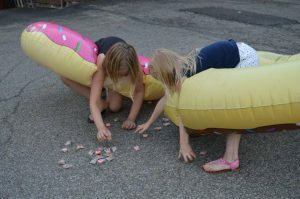 On Friday, June 2 The Donut DAZE festival kicked off two days of all- things- donuts in New Wilmington. Walking around the charming town we saw donut vendors line the streets, children participating in donut themed games, an accordion player pumping out familiar tunes and the weather couldn’t have been more perfect. My family is made up of baked good connoisseurs and donuts happen to be our specialty, so this event was right up our alley. You could pre-register for three different levels: Crawl, Creep or Coma. We chose to do the Coma which included all 15 donut vendors: Amish Donuts, Apple Castle, Bill’s Bake Shoppe, Carol’s Pastry Shop, Classic Bakery, DeAngelis Donuts, Dolce Mia’s Bakery, Freedom Farms Donut Shop, Mac’s Donuts, May’s Do-Nuts, Pizza Joe’s, Sinkers & Suds, Sweet Chessie’s Bakery, Valencia Donut Co, and Whitehouse Farms. We also received two ceramic mugs and had the choice of coffee, milk or tea. Since we knew Two Rivers Artisan Coffee Works was the supplier, we chose to wash down our donuts with the best coffee around. Let’s just say when the Jacob Family arrived home that night we were definitely in a donut coma. 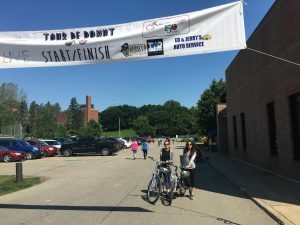 Saturday morning arrived and we were ready to “exercise our appetite.” Tour de Donut is a bike tour through the scenic Amish Countryside and features a voluntary donut eating challenge at various points along the ride. A donut medallion is awarded to all riders who consume 12 donuts throughout their ride. 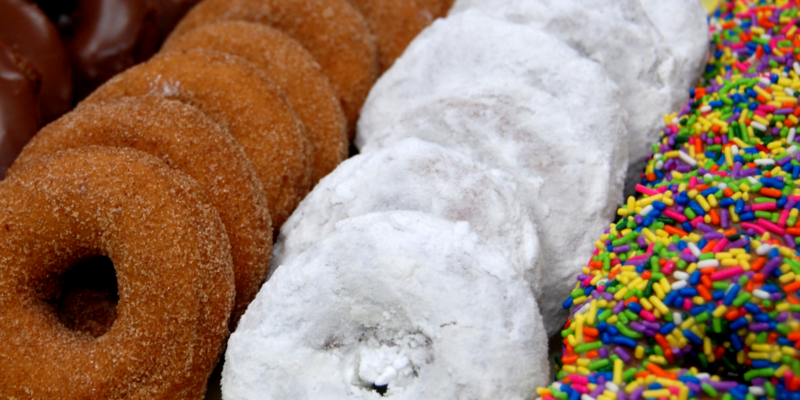 Which you think would be easy enough since you are chowing down the best donuts from Apple Castle. If you truly wanted to, you could bike all 60 miles (10, 20 or 30 miles) but the 10 mile scenic tour seemed perfect to me. Arriving at Westminster College Field House to register were hundreds of people ready to ride. Some were starting the donut challenge early, others were admiring the scenery at Britain Lake, drinking complimentary coffee from Two Rivers or just taking it all in. The tour was on your own time, allowing you to hop on your bike and follow the color coded markers when you were ready. Along the tour you saw farm animals, Amish businesses, beautiful landscape and really an overall tour of the Amish Countryside. I saw riders pulling over for selfies with the animals or visiting the Amish shops. A couple from California was ahead of me and they kept stopping to admire the local flora and fauna such as a white dogwood tree. By the time we finished the tour, my sister and I had only eaten six donuts collectively meaning we couldn’t add the donut medal to the previous year’s, but it was worth every minute. We departed feeling like we had already done so much over the weekend and it was only 10am Saturday morning. Smiling to ourselves, we rode home with the windows down admiring our beautiful hometown. All in all, this quirky, donut celebrating small-town is simply amazing. Like what you see? 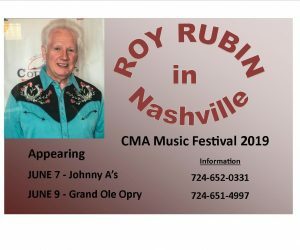 Click for more LIVE New Wilmington events. This entry was posted in Recent News & Updates and tagged donut, New wilmington, tour de donut. Bookmark the permalink.